It is just use a double IC double output optical receiver. Only difference is that it operates on DC power supply instead of AC. It reduces complication of power pass system. It is very easy to maintain the co-axial cable line. 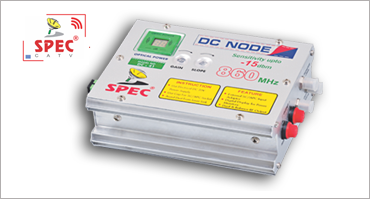 It uses DC power in cable wire, having no frequency hence very less chance to produce heat inside cable wire. It consumes very less power and low heat gives it very long life to cable.